Did you know that coconut water oxidises (loses freshness) when exposed to sunlight? Coconut water in clear packaging may not be as fresh as H2Coco and it certainly will not stay fresh for as long. 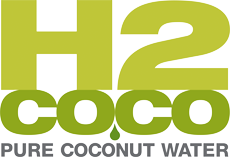 H2Coco use Tetra Paks, the only packaging that stabilises and give pure coconut water a shelf life of 12 months. It also uses a lot less materials in relation to the product, a lot less energy than plastic counterparts, and a lot less natural resources. This low-calorie, fat-free health drink is able to retain its natural, pure state, and life-giving nutrients.